Solugel belongs to group of Hydrogels which have high water content (up to 80% for amorphous gels, 90% for sheet gels). These products have the unique ability to provide additional moisture to the wound which rehydrates necrotic and sloughy tissue, and also they absorb certain amounts of wound fluid into themselves which progressively decrease their viscosity. This mechanism maintains an optimal moist wound environment as it desloughs and debrides. 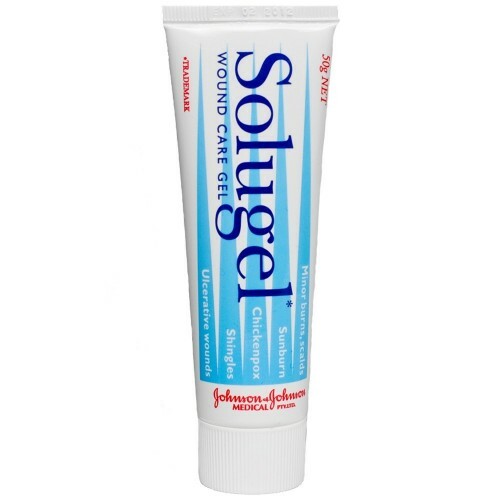 Solugel is also provides a soothing, moist, healing environment for the effective treatment of minor burns, scalds, sunburn, chickenpox and shingles. 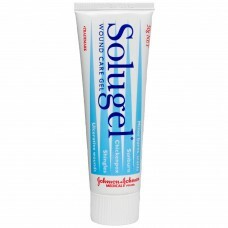 After appropriate first aid measures, apply Solugel liberally to the affected area ensuring complete coverage. Wounds should be covered with a non-adhering dressing and the dressing changed daily, with a new appliaction of Solugel , or as directed by the physician. The gel should not be allowed to dry out. Chickenpox and shingles rash should be treated with frequent applications of Solugel to prevent drying of lesions. Should not be used by people with known sensitivity to Propylene Glycol. Single patient use. Use within three months of opening. Store below 25C.